SCARBOROUGH – If the real estate world can be said to have its own language, “village” is surely one of the most attractive words in it, both for its gentle sound, and for the appealing images it conjures up. Ideally, a picture as pretty as Eastern Village comes to mind. And if that picture includes this splendid home, so much the better. 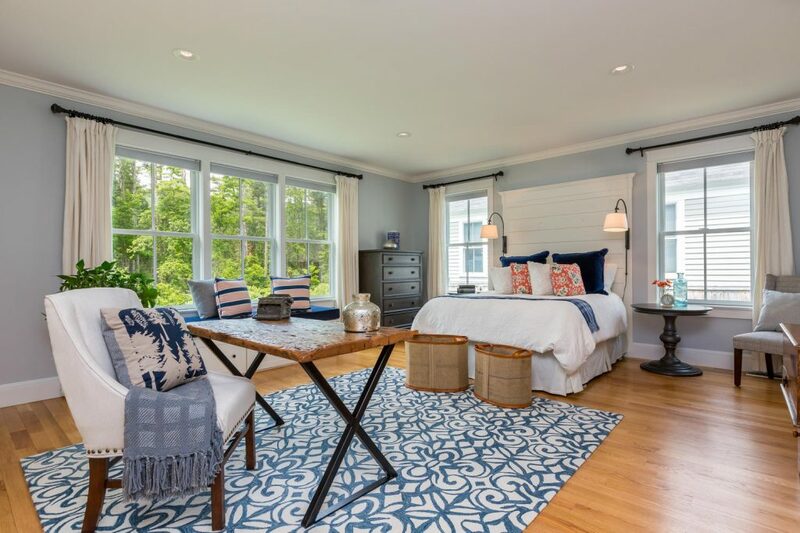 What’s “old” is new: The home behind its classic white picket fence combines traditional New England design elements with a flexible floor plan, the finest finishes, and inspired custom touches – among them, a cool little luggage room. 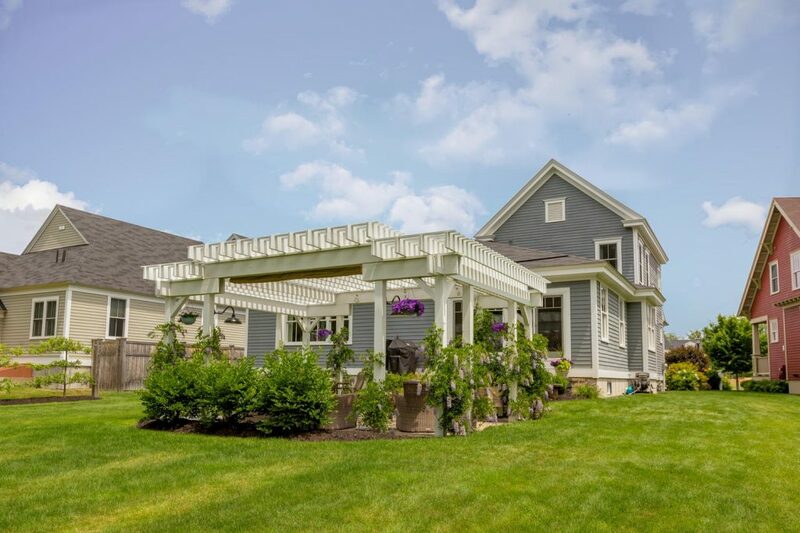 Here are three levels of living that total 3,829 square feet, and a gorgeous outdoor “room” as impeccably maintained as the home’s interior. 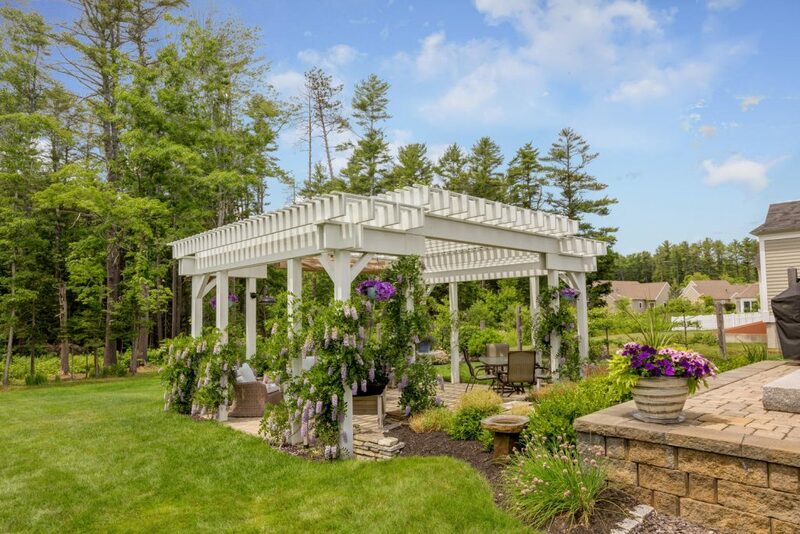 Above a stone patio, the handsome pergola is wreathed in wisteria and has a shade sail for screening the sun as desired. 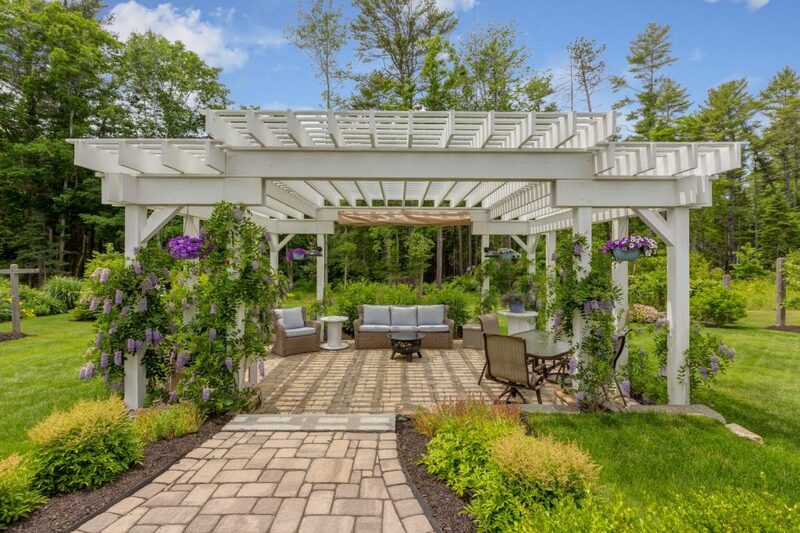 The surrounding perennial gardens are stunning, and accompanied by blueberry bushes on one side, a sweet espalier of apple trees on the other. The manicured lawn extends to a deep screening of preserved woods. Note, too, that the .20-acre lot is among the largest in the village. 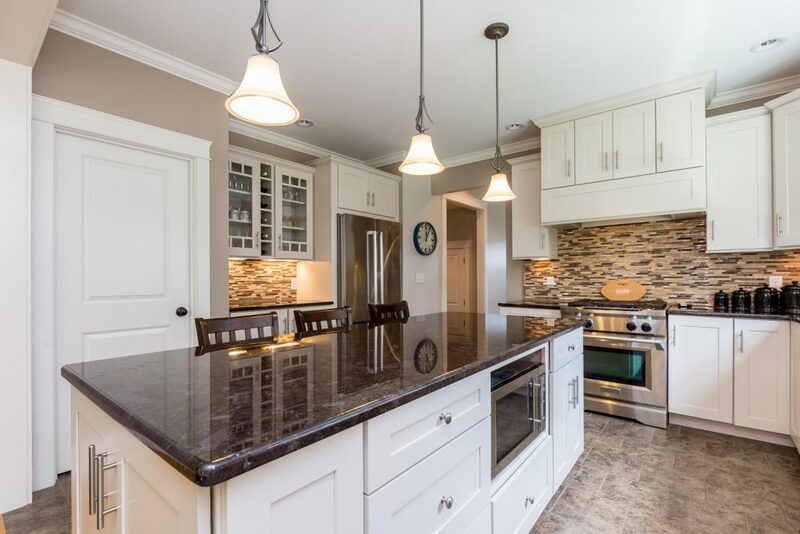 This personal green paradise is immediately visible when you enter the front hall – large powder room to your left, step-down mudroom to your right – and gaze through the open-concept succession of kitchen, dining area, and living room. 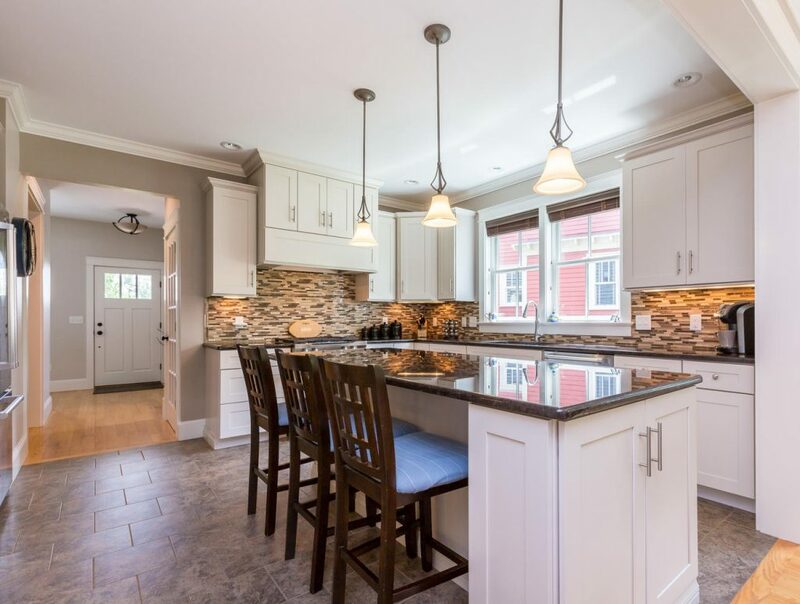 Among the stainless-and-granite, gourmet cook’s kitchen’s charms are backsplashes incorporating both glass and stacked stone, and a walk-in pantry with second fridge. 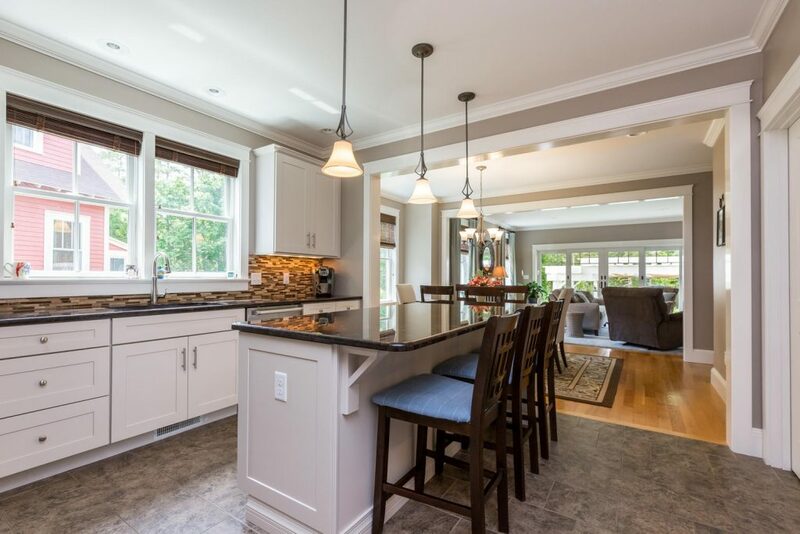 The dining area flows into a spacious living room, where one wall of built-ins frames a gas fireplace in a marble surround, and another “wall” of glass frames the back yard view. Single-level living is here, thanks to a first-floor master suite whose huge bedroom overlooks the gardens, and whose walk-in is room-size. 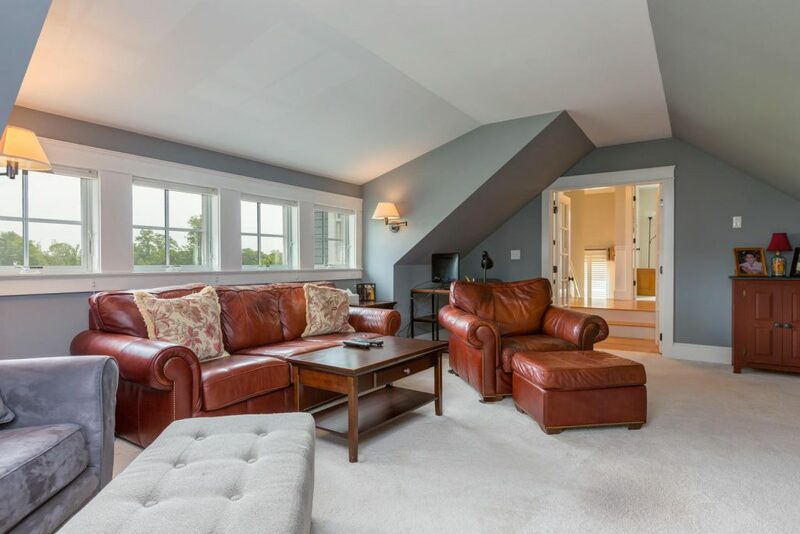 Upstairs, two good-sized front bedrooms are served by a full bath, not to mention a long, sunken bonus room that extends over the direct-entry garage. 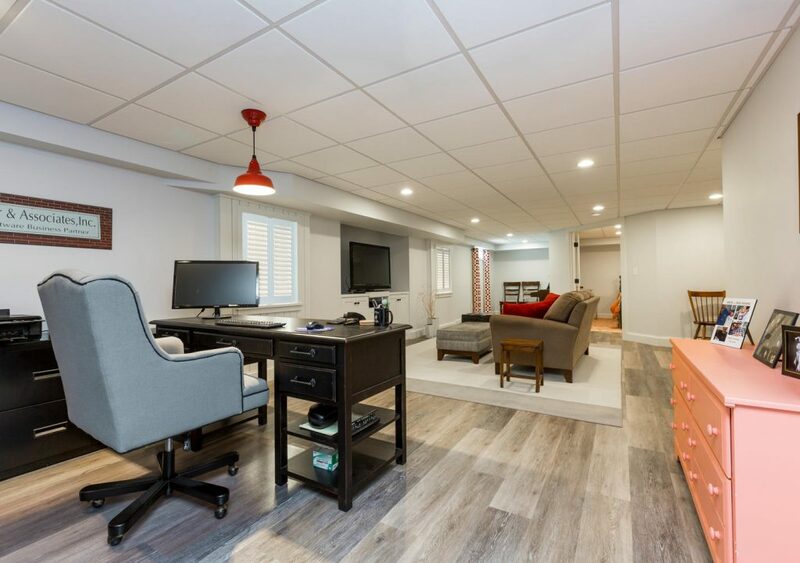 The lower level adds versatile living space in the form of a carpeted family room with accessory half-bath, and an “overflow” office room besides. Finally, Eastern Village’s location is another reason it is so sought-after. 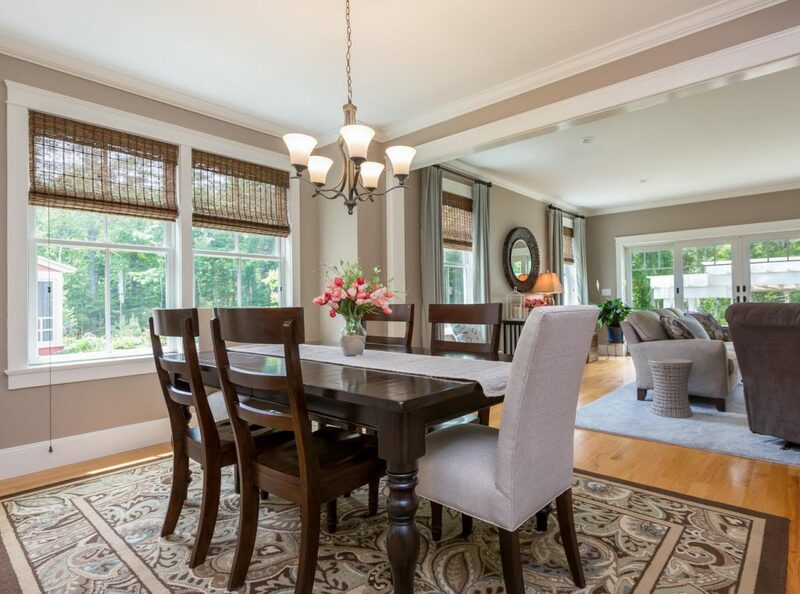 The enclave is tucked in off U.S. Route 1 handy to I-295; and to beaches, schools and all conveniences at Oak Hill. The village also accesses Black Point Road, and the Eastern Trail is an easy walk away.